No matter how large or small your contribution to TBN has been, please join us at next week's TBN Volunteer Appreciation Night. The event, on March 6 at the Pauper’s Pub (539 Bloor Street West) will be a night of fun and festivities. Share a bite to eat and have a drink with fellow TBN volunteers, hear about new volunteer opportunities and about our plans for 2019, and celebrate the many people who make TBN such a great experience. Doors open at 6:30 and pub finger food will be available (cash bar). Please register by March 1, so we know how much food to order. 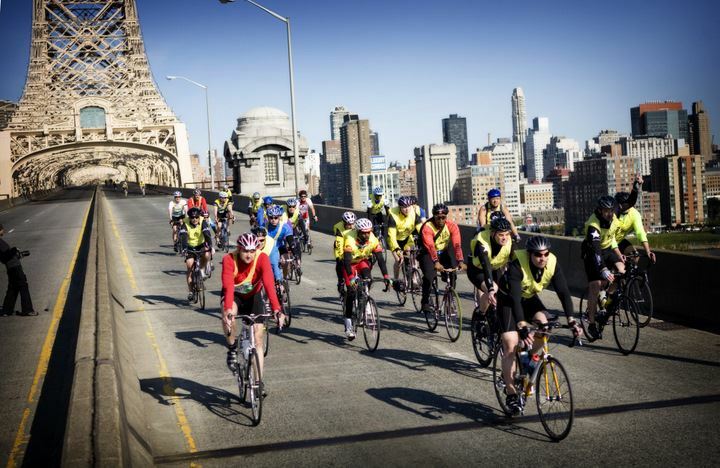 Registration is open for TBN's second excursion to New York's exciting May 5 Five Boro Bike Tour, when 32,000 cyclists get the once-a-year chance to ride along car-free roads and bridges that will be closed to traffic for the event. Our plan: car pool to the New York area on Thursday, May 2, enjoy the ride, play tourist in New York, and return to Toronto on Monday, May 6. Be part of the bicycle fever that hits Montreal in June when thousands of cyclists ride together on car-free roads on the Go Bike Montreal festival. We will arrive in Montreal on May 31, and will ride together for the Friday night Tour de la Nuit and the Sunday Tour de I’Île. Registration is open now. The Toronto International Bike Show is just days away, on the March 1-3. It's a huge event, offering previews of goodies for the 2019 biking season and the chance to see what local bike shops have on offer. TBN will be at Booth 630a, midway between D'Ornella's and the Bike Polo site,so please come by to meet our volunteers and say hello. TBN's indoor cycling training sessions at the downtown Adelaide Club are a fantastic way to get ready for spring cycling. Classes are Wednesdays from 6:35 to 7:35 p.m. Cost for the eight-week series is $90 plus HST. Four sessions are $50 plus HST. Register with Lauren at 416-367-9957 x 4309 or lauren@adelaideclub.com.